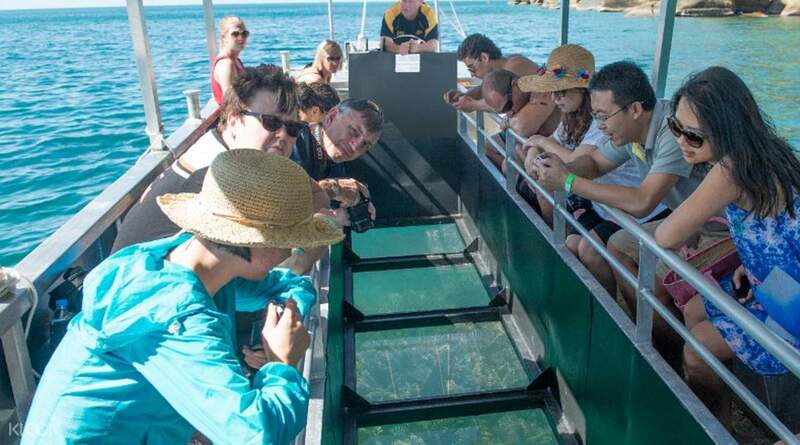 Snorkel, go on a glass bottom boat ride and more! excellent experience ! We paid extra aud $3 for snokling safari, the instructor brought us to see diiferent kind of corals and fishes, it was amazing to see these creatures! 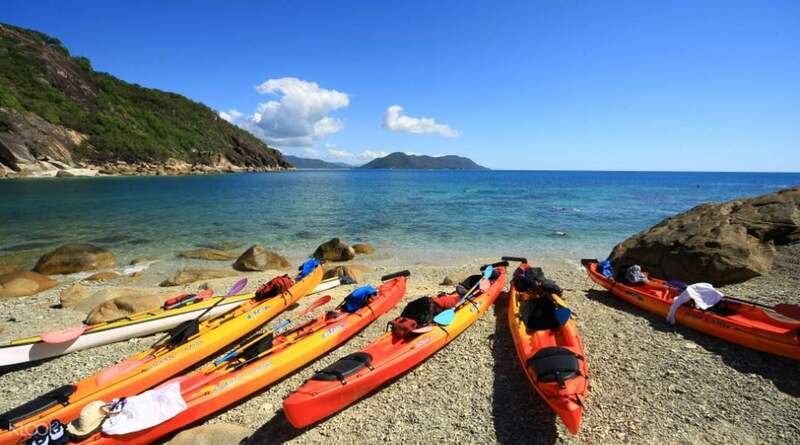 Discover Fitzroy Island in full on a full day tour with a convenient transfer from Cairns and back. Check in at the meeting point at Cairns Reef Fleet Terminal and hop on a ferry to Fitzroy Island. Here, you can spend you time exploring the island and trying out a series of fun water activities. Jump high up on an ocean trampoline or explore the island on a paddle board. More than that, you can choose to rent some snorkeling equipment and discover beautiful corals near the island or go on a glass bottom boat ride, sit back, relax and peak into the underwater world. A better option yet - combine the two for a day of unlimited fun on the sea. Very fun place, staff are very helpful and friendly too. Recommended to go for snorkelling. Very fun place, staff are very helpful and friendly too. Recommended to go for snorkelling. excellent experience ! We paid extra aud $3 for snokling safari, the instructor brought us to see diiferent kind of corals and fishes, it was amazing to see these creatures! excellent experience ! We paid extra aud $3 for snokling safari, the instructor brought us to see diiferent kind of corals and fishes, it was amazing to see these creatures! A relaxing day on Fitzroy Island, there were not many corals but at least we saw the turtle. A relaxing day on Fitzroy Island, there were not many corals but at least we saw the turtle. Would recommend this amazing tour. Helpful and friendly staff. Would recommend this amazing tour. Helpful and friendly staff. Excellent experience! Both my friend and myself enjoyed it very much!! Excellent experience! Both my friend and myself enjoyed it very much!! The trip was great, we did see the coral and fish! The trip was great, we did see the coral and fish!